It is a very exciting time to be a Raelian on planet Earth! We have the extraordinary privilege to witness our humanity follow the steps of our creators, as more and more scientific achievements confirm the Message of the Elohim and suggest that we are on our way to one day become Elohim ourselves. One of the most important of such scientific breakthroughs in the last 40 years was the first creation of synthetic life by Craig Venter’s team in 2010. The culmination of 15 years of pioneering research and a remarkable technical accomplishment, it’s above all a major milestone in the history of mankind, with far reaching social and philosophical implications. For the first time, it was demonstrated that there is nothing supernatural about life, that a living cell could be created using synthetic DNA. Humans have become gods, capable of creating and manipulating life. 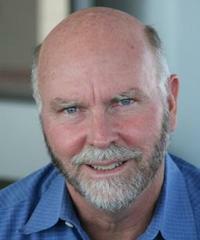 Craig Venter has long been involved in DNA sequencing, being one of the first to sequence the human genome in 2000. 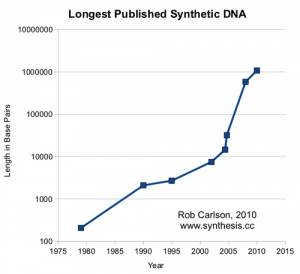 He also pioneered synthetic DNA assembly, creating the first synthetic virus in 2003. 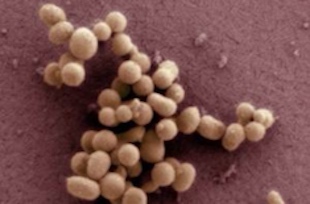 In 2007, he performed the first genome transplantation, demonstrating that a bacterial species could be changed to another one by replacing its genome. 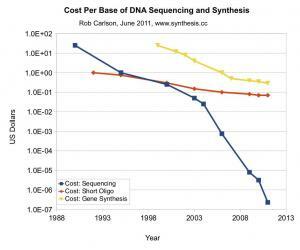 In 2008, Craig Venter’s team synthesized a whole bacterial genome, and two years later succeeded in combining genome transplantation and genome synthesis, resulting in the first synthetic living cell. Craig Venter heads both the J. Craig Venter Institute and the company Synthetic Genomics, and works toward creating synthetic microorganisms for the production of biofuels, vaccines or food products.